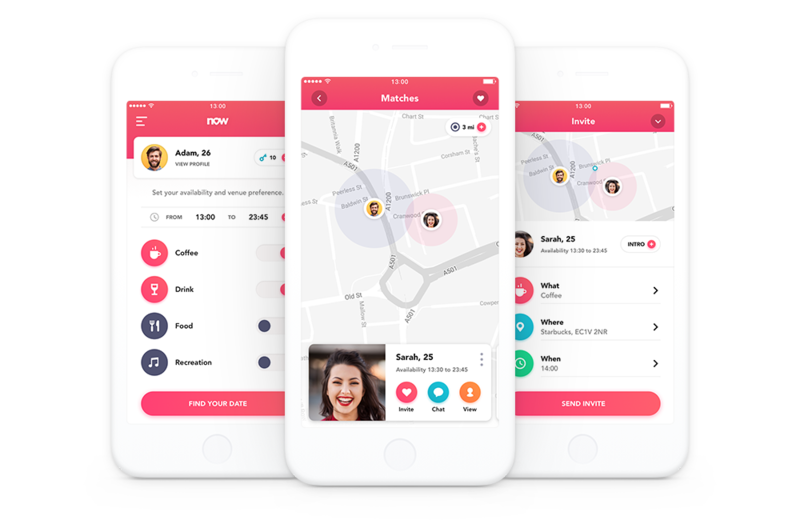 Now is a location-based matchmaking app that makes it easier than ever before for people to meet and enjoy real offline experiences at millions of public venues worldwide - Download the app. A common complaint about dating is that people are just too busy to deal with it. Because it takes time, time that people either don’t have or don’t want to waste on something that might not work out. 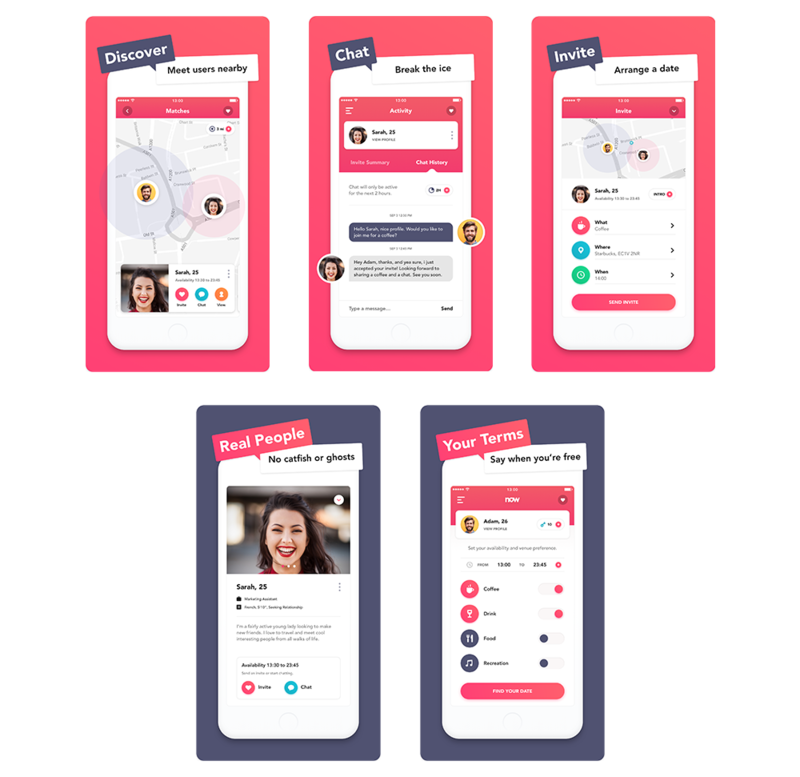 So in resolving this issue, I worked alongside the founder of Now to create the first dating app of its kind to effectively connect people faster than ever before. The product aims to shift the focus from stagnant online interactions to real engaging offline experiences, where users can better fulfil their powerful emotional desire to connect with others in safe public environments. My role was to design the product from the ground up, taking a holistic yet detailed approach to defining and evolving the business strategy, the product requirements, the UX, UI, IXD, branding, copywriting and marketing collateral. 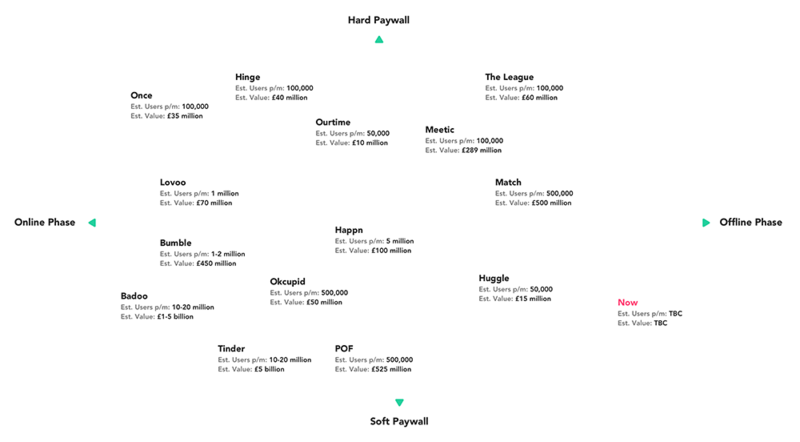 After analysing the dating market, we found that the majority of existing apps placed heavy emphasis on the online engagement phase, with the most successful apps leaning more towards softer (low cost-entry) paywall models. However, there seemed to be a large gap in the offline service phase. This area of untapped business potential is where Now aims to help bridge the gap! 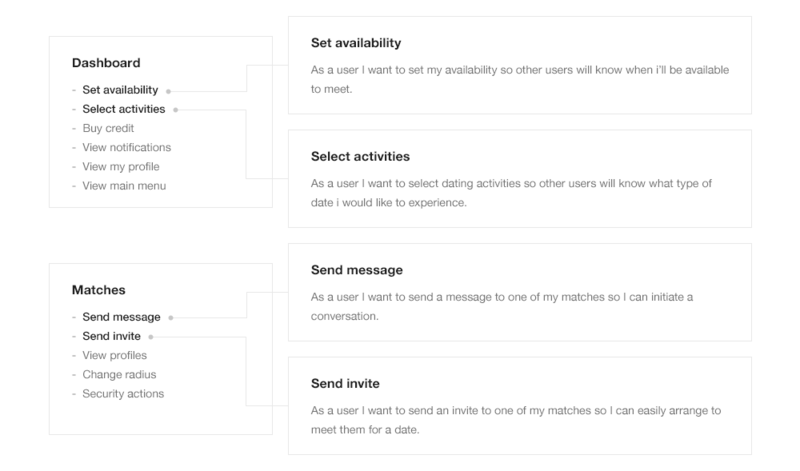 My next challenge was to examine and simplify the number of steps needed for each user to complete their key tasks within the product. After gaining a better understanding of the product scope, I drew numerous UI components to capture the requirements. This allowed me to quickly evolve and iterate on ideas. 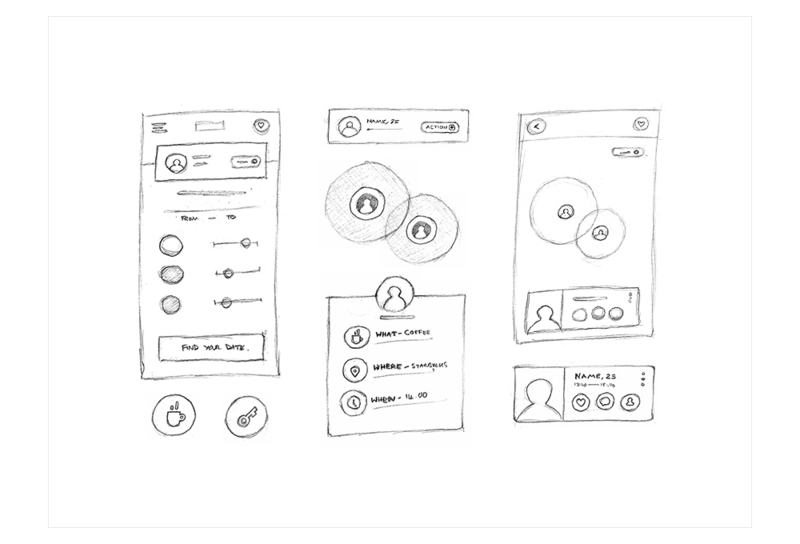 Based on my initial sketches, I created a set of mid-fidelity wireframes. In doing this I was able to map out the bare-bones of the app, including some of the more subtle aspects such as element spacing/dimensions, identifying reusable patterns and setting the typographic scale. 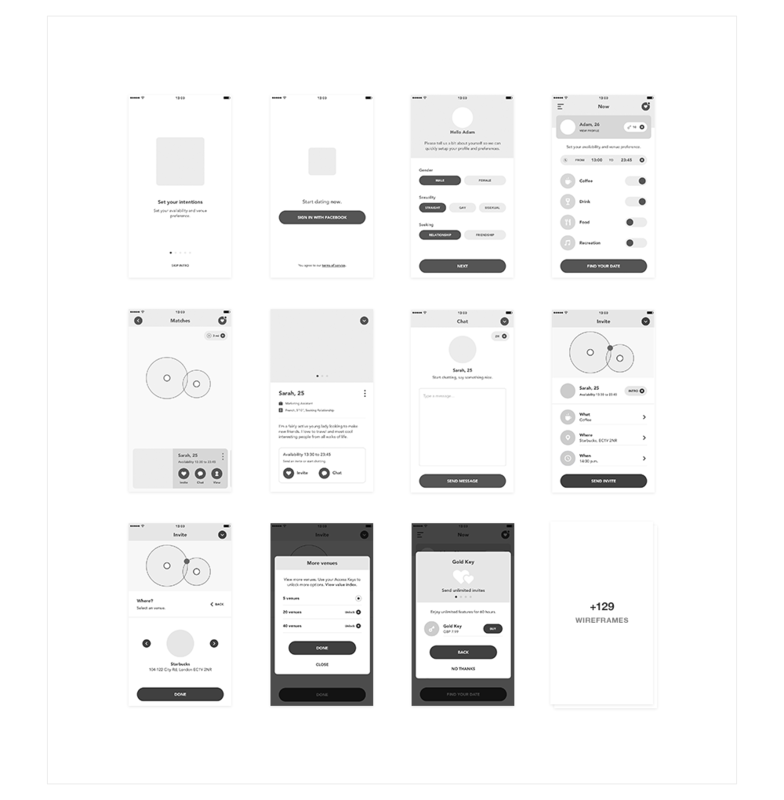 For each user story, I created a set of Wireflows to document the more complex micro-interactions and conditional logic behind the app's dynamic content. I also created a large-scale clickable prototype to test the validity of the flows. Part of the product vision was to create a modern yet friendly and exciting brand. As a result, I selected a futuristic typeface and a blend of uplifting colours, leading with red and purple to create a sense of warmth and luxury. I then created two variations of the logo. 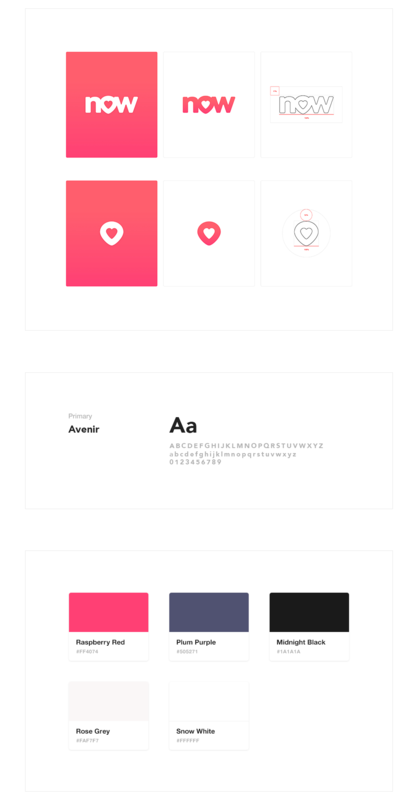 One as a written wordmark to introduce and familiarise the audience with the brand, and the second as a brandmark for instances where there's limited space. Both variations have a heart-shaped map pin at their centre to convey the importance of the present moment and the company's "love Now, not later" mantra. 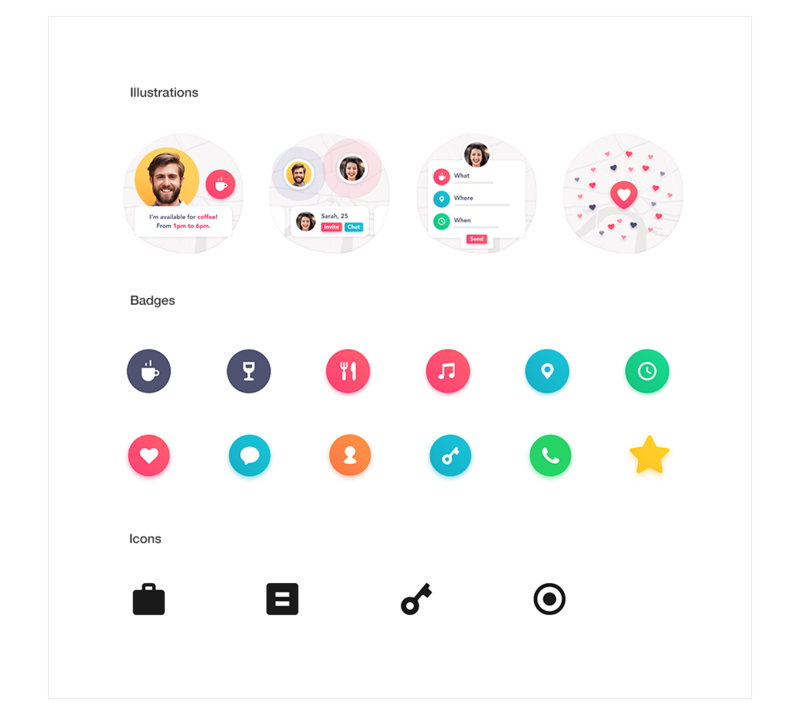 I designed a custom set of illustrations, badges and icons to help further guide, engage and inform users. This was also another great opportunity to reinforce some of the key brand colours, symbols and shapes. It took me roughly a month to design and fine-tune 140 visuals. My aim was to create a highly aesthetic/intuitive bridge to maximise the user experience and the product's overall performance. Appearance can make an impression, but it's personality that usually makes a long-lasting impact. 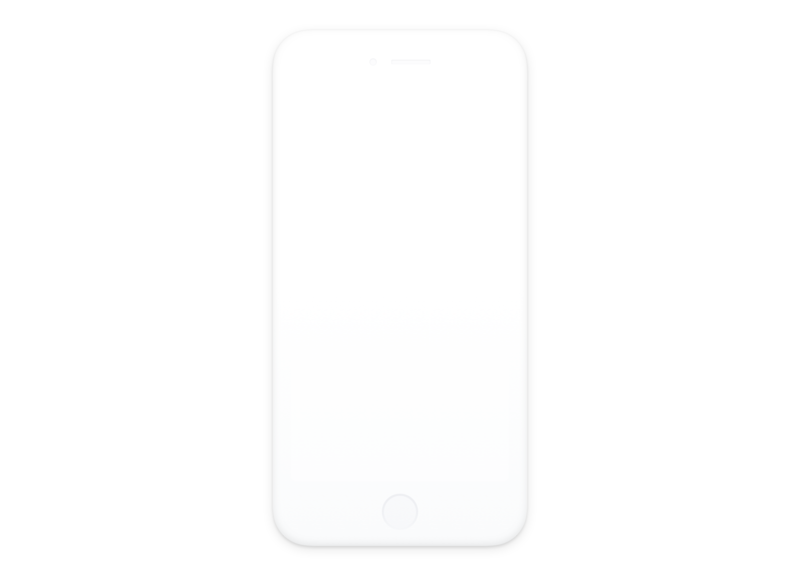 I wanted to make use of this principle by reflecting the product's friendly and playful character via the interactions and animations. So I created a set of prototypes to capture these traits. Throughout the development of the app, I was very conscious of using the right words and tone to inform and guide users. This became even more important during the marketing phase. 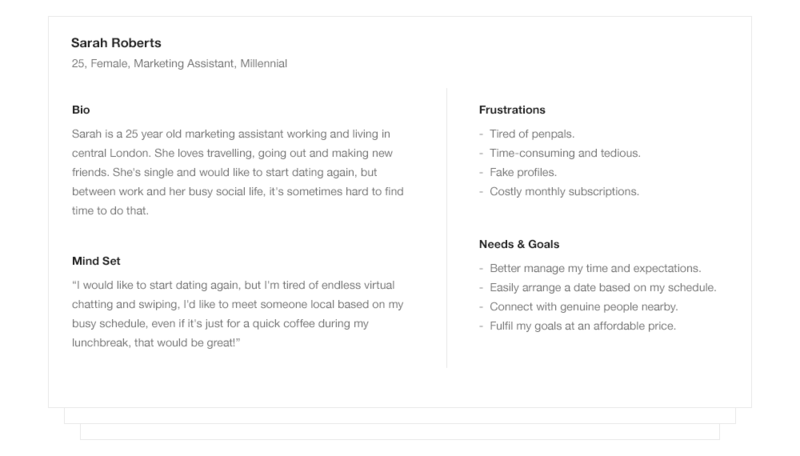 One of my challenges was to create a visually condensed value proposition to quickly engage and acquire users. 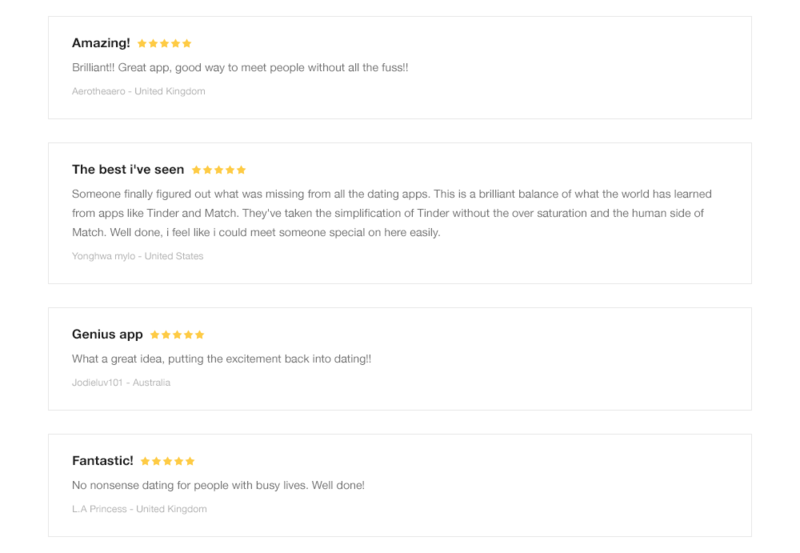 After launching the app, we received a tremendous amount of positive user feedback on the Apple App Store. We were also shortlisted for a Bima award and ranked in the Top 5 Best New Products of the day on Product Hunt. Our overall performance attracted a number of new investors, which later led to further funding. Three-fourths of the project involved QA testing. 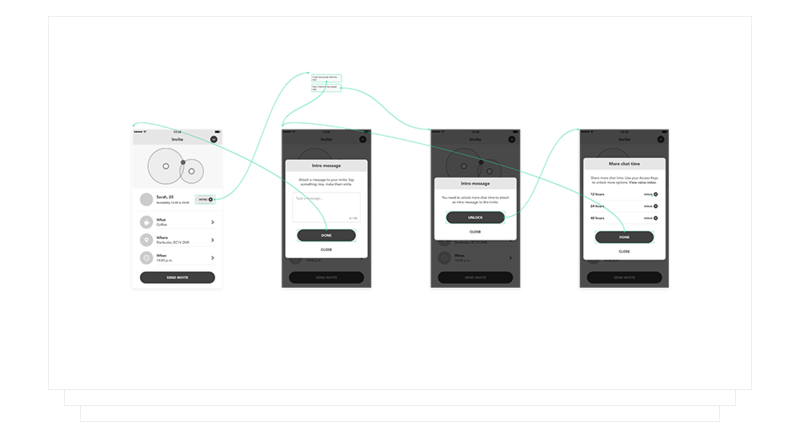 Even after launching, the QA cycle continues to be a key aspect of the product's success; this also ties into a larger iterative feedback system for evolving the product's design and documentation. With thousands of international downloads and a weekly growth of 270%, Now has already proven to be a big success. It raised many challenges for myself and the founder, but with a turnaround of just under 7 months, I really feel like we've created something special. Some of the key (unmentioned) challenges we faced were related to business strategy, product monetisation, and formulating algorithms. Among the many hard and soft skills required, good communication and organisation proved to be invaluable. We still have lots of new and exciting ideas to improve the product in future, so stay tuned. Download the app and follow Now on Twitter and Instagram.